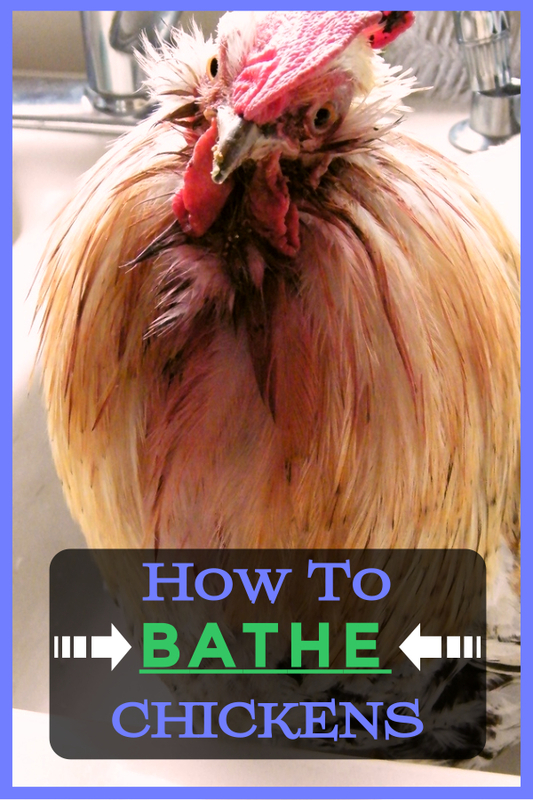 How to Bathe a Chicken Properly! April 5, 2016 April 16, 2018 - by Gold Cochin - 2 Comments. Well, this article has been on our minds for a long time and finally, we got around to doing it. Hygiene is important for chickens because even though they have their feathers to protect their skin and are highly adaptable animals you can benefit a lot if you keep them clean. In this article, we at the typesofchicken.com team will explain to you in some details how to bathe your chickens in a simple and easy way. 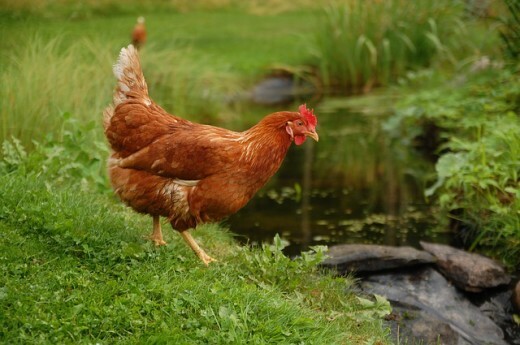 There are factors that affect the decision if you should bathe your chickens. Weather condition is the one that you cannot change but keep it in mind when deciding whether or not you should bathe your chickens, most chickens don’t like winter. After making sure that the weather is fit for your needs you need to make sure that you have the right materials. Tools and materials, such as three buckets in which the chicken will fit and you`ll have room to move your hands. Speaking of hands – nylon gloves can be a good idea because a lot can come out of a dirty chicken. Liquid soap, vinegar, and warm water are also required to complete this list. Don’t forget to bring some dry towels. Once you are sure you have the necessary materials you can begin the preparation of the buckets. You prepare the bath buckets by filling them with a different combination of the previously mentioned materials. Fill one bucket with warm water and liquid soap, one with plain water and one with water and vinegar, ¼ vinegar and the rest is water. Remember that the head of the chicken should always be above the water level. Get the dirtiest chicken and put her in the bucket with liquid soap. Have patience with the chickens if you are doing this the first time because you may get some angry reactions from them before they get used to the process and try to be gentle. Make sure you wait until the chicken soaks in the water and then lift her up and put her back in the water a few times. Don’t rub the chickens, their feathers and skin are very gentle – especially when wet. After a few dips in the liquid soap and water mix, drain the chicken for a few moments and then dip her in the plain water – the second bucket. Repeat the same process until you cannot see the soap bubbles on the chickens feathers and body. Dip the chicken in vinegar water for a short time and you will give the feathers a special shine. Do this with all the chickens. After the vinegar water cover your chickens with a dry towel and hold her until they feel dry. Chicken hygiene can be a fun family experience in many ways. If you and your family take one day in a few months to clean the coop and give some special care to your chickens you can do all these things better and more efficient than doing them yourself. Previous Article Pros & Cons About Keeping Leghorn Chickens! 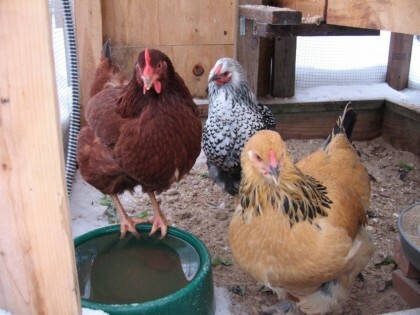 Next Article Lessons About Keeping Chickens – By Chicken Keeper! I have always bathed my chickens for one reason or another..As a matter of fact I just bathed one today..He was new to the flock, and he came from a not so worthy environment. ?.SO in the bath he went , soo as we got home… Geve him some vitamins, wrapped him in a big soft towel..held him about an hr. Then put him in a small kennel with a heat lamp on…It was a rather chilly day here… Took the heat lamp off after I knew he was cozy….Then turned off the lights to let him adjust to his new home..He is in my laundry room tonite..Tomorrow its outsideto adjust to the hen house..A few days I will let him join the flock…slowly. I enjoyed reading your post, I don’t seem to come across many people like myself or you that will take the extra time with their chickens or have the concern for their lives.